Below you’ll find the key dates in the history of Hong Kong presented in a timeline. This second part of the timeline picks up at World War Two through Hong Kong history to the modern day. 1949 – Mao’s communist forces win the Chinese Civil War resulting in a flood of refugees into Hong Kong. 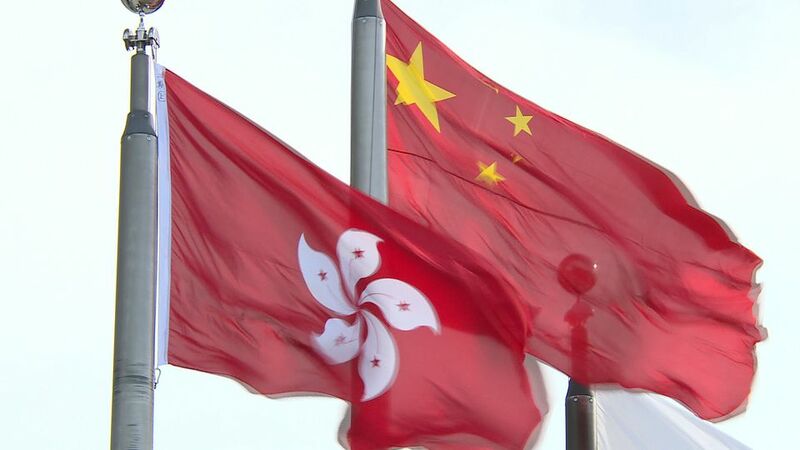 Notably, many of Shanghai's grand industrialists and businessmen moved to Hong Kong sowing the seeds for Hong Kong's future commercial success. 1950 – The population of Hong Kong reaches 2.3 million. 1950’s – Many refugees from China provide the labour for Hong Kong’s rapidly expanding manufacturing industry. 1967 – As the cultural revolution grips China, Hong Kong is hit by riots and a bombing campaign orchestrated by left wingers. Chinese militia men, believed to have permission from Beijing, cross the Hong Kong border, shooting five police officers before re-crossing back into China. Locals mostly remain loyal to the colonial government. 1973 – Hong Kong’s first new town at Sha Tin is built in an attempt to help relieve the city’s housing crisis. The city's financial industry is booming, and skyscrapers start to dot the skyline. 1970’s – The British and Chinese government begin to negotiate about Hong Kong’s status after the 99-year lease of the New Territories runs out in 1997. 1980 – The population of Hong Kong reaches 5 million. 1984 – Margaret Thatcher announces that the whole of Hong Kong is to be handed back to China at midnight on June 30th 1997. It would have been practically impossible for the British to hold onto Hong Kong Island while handing back the New Territories. The area contains half of Hong Kong's population and all of its water supply. Hong Kongers partly welcome the move, although there are reservations. 1988 – The details of the Hong Kong Handover emerge, including the Basic Law which will govern the Special Administrative Region of Hong Kong. Hong Kong is slated to remain the same for the fifty years that follow the handover. Concern remain on whether China will honour the agreement or impose communist rule directly after 1997. 1989 – The Tiananmen Square massacre sees fear grip Hong Kong. The stock market plunges 22% in a single day and queues form outside the US, Canadian and Australian embassy as Hong Kongers look to emigrate to safety ahead of the handover. 1992 – Chris Patten, Hong Kong’s last governor, arrives to take up his post. 1993 – Patten attempts to expand the direct election of councillors to Hong Kong’s Legco in breach of the Chinese-British agreement on the handover of the city. Beijing would ultimately dismiss a number of these democraticly elected councillors after the handover in 1997. 1996 – In a limited election orchestrated by Beijing, Tung Chee Hwa is elected Chief Executive of Hong Kong. He is met sceptically by the Hong Kong public. 1997 – The Hong Kong Handover takes place. Prince Charles and Tony Blair lead the British party, while China is represented by Premier Jiang Zemin. Governor Chris Patten sails for Britain on the royal yacht. 2003 – Hong Kong suffers a deadly outbreak of the SARS virus which kills 300 people. 2005 – Tung Chee Hwa is forced to resign after popular protest. Donald Tsang, a local man who worked in the colonial government, replaces him. 2008 – The Hong Kong population reaches 7 million. 2014 - In response to Beijing continuing to control the election of the city's Chief Executive thousands take to the street to protest in what becomes know as the Umbrella Revolution. Major throughfares are occupied for several months before police move in to break up the protest camps. The issue of democracy in Hong Kong remains unresolved.